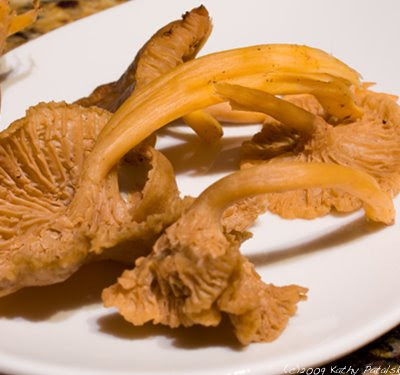 Similar to the name bluefoot, with the delicate texture of oyster or hen of the woods. They have bright yellow stems and not-so-shocking, they taste divine!!! If you can find them, try a few. Simply saute with a bit of olive oil and lemon juice or garlic. 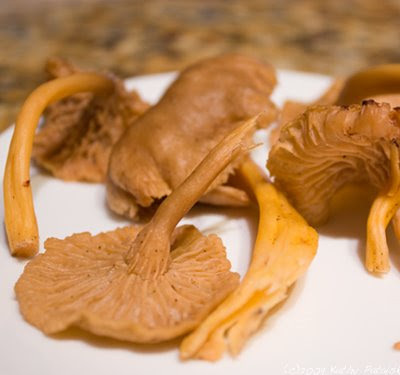 They have a pungent salty woody taste that is delicious eaten along or as a gourmet side dish. If you've seen yellowfoots before-let me know! It was a first time find for me.